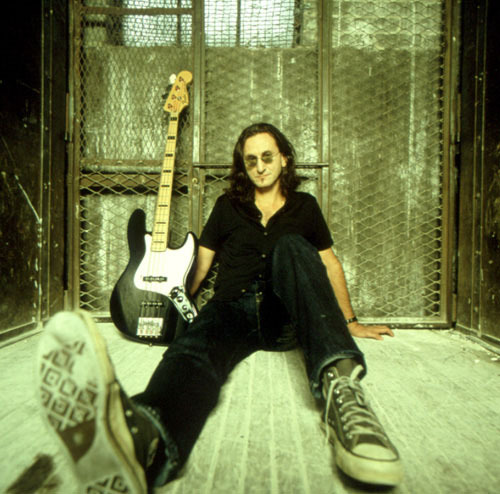 While not much has been heard from Rush since the band’s last studio album, Test for Echo, was released over two years ago, Rush fans can rejoice and satisfy their craving for new material with the release of the debut solo album by band, bassist and vocalist Geddy Lee. My Favorite Headache is Lee’s contribution to fans while Rush is taking an extended hiatus to work on a new album. Lee is joined on this album by ex-Soundgarden drummer Matt Cameron , who is a dead ringer in style and sound for Rush drummer Neal Peart and ex-FM guitarist, violinist, multi-instrumentalist, Ben Mink. With all songs on this album written or co-wrtten by Lee, My Favourite Headache could resemble what the next Rush project most likely sound like when it is finally released. The album contains eleven songs that mix classic Rush riffs and sci-fi themes, with a Primus-styled hard rock influence. While Lee stretches his song writing ability (no doubt with much assistance from Ben Mink) to include an absorbing laid back symphonic piece and a ballad, the album for the most part, is filled with the obligatory amount of Rush sounding hard rock songs. There is no new ground covered on this album, but with Lee’s unique vocals shining and enough Rush influences no doubt fans will be kept happy until the next official band album.